l. Now we will add an footer to the table showing computed average values. To do so, click on the Footer button and then click into the report. The Footer Band will be added. Now we will add two texts showing the average values. Click on the Text button, and then click inside the Footer Band. In the Text dialog, select Summary. 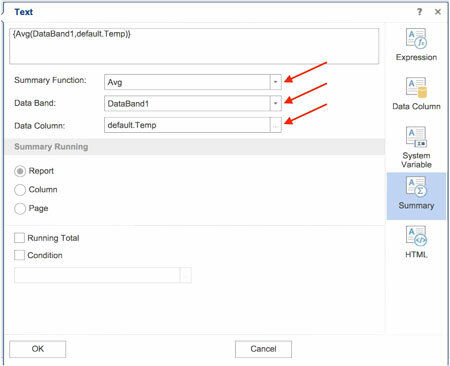 You need to fill in Summary function, Data Band and Data Column values. Then click on OK button. Now, the footer section of the table is finished. 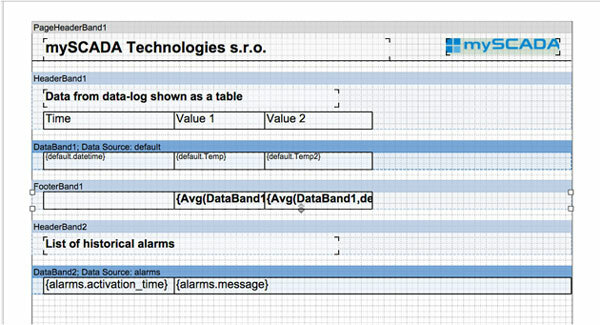 m. Same way as creating table filled with historical data from data-logs, you can show list of historical alarms. 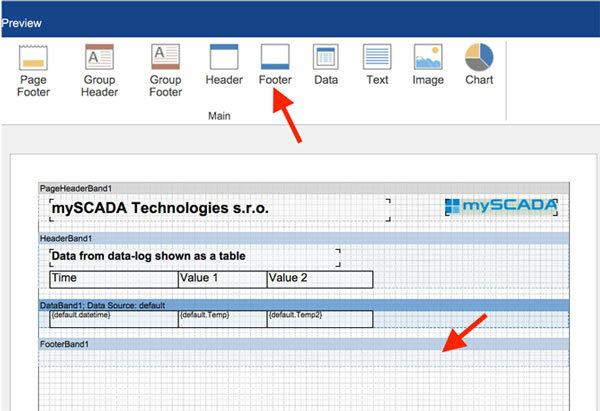 To do so, follow the same steps as you have done when creating table from data-logs, but as a data source select alarms.